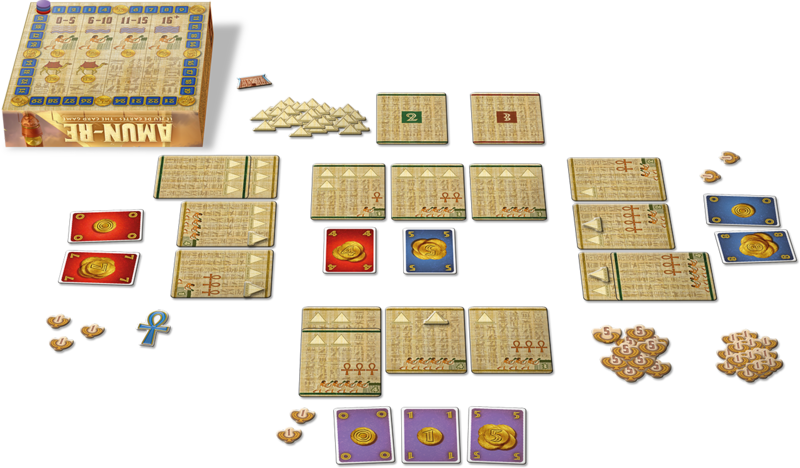 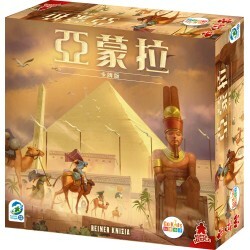 The “Amun-Re” card game is set in ancient Egypt. 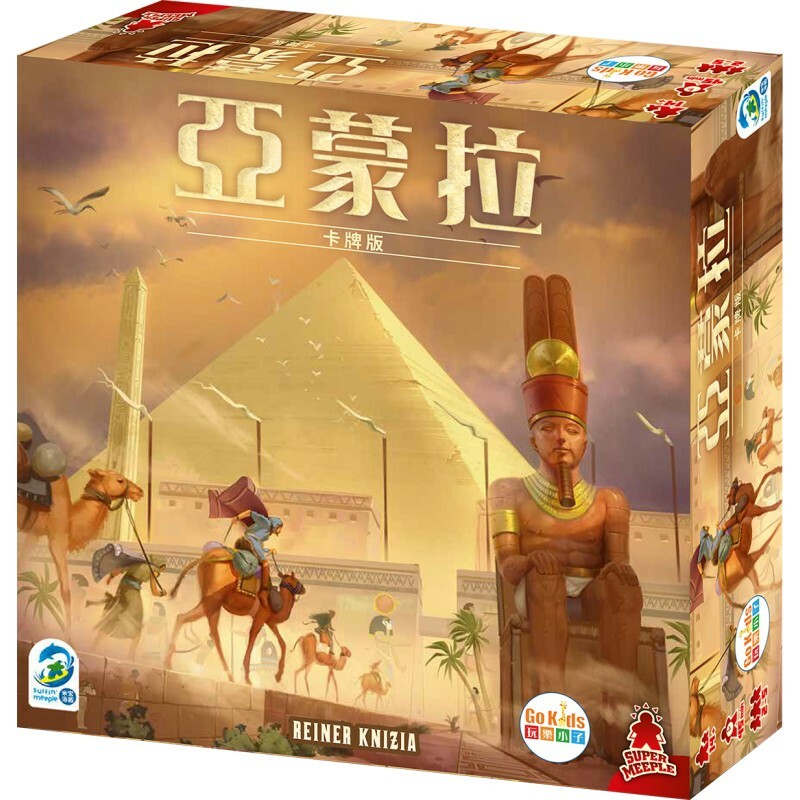 The game lasts three Kingdoms, during which you will first acquire then develop three Provinces. 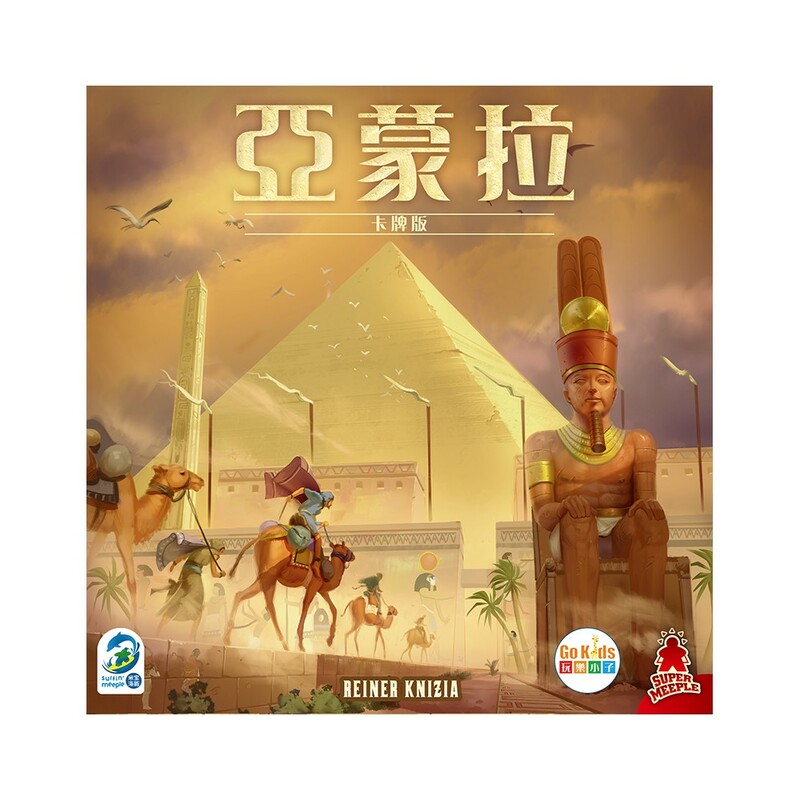 To win, you must control the most prosperous Provinces, make the most bountiful offerings to Amun-Re, and construct as many Pyramids as possible.